Thank you for your interest in Mother Nature’s Child! We use PayPal for online orders. You will enter your shipping information on the PayPal site. Mother Nature’s Child was produced with a variety of audiences in mind. The DVD comes with a brief study guide insert which offers a suite of questions and prompts to initiate post-film conversation. For individual, private home use. Non-profits may use the film with staff and volunteers or for free public screenings (no ticket fee charged). Universities and Educational Institutions may purchase the film for classroom use, in-house library, and staff enrichment. Director Camilla Rockwell and Co-Producer Wendy Conquest are individually available to attend film screenings and presentations. Please contact us. This powerful yet tender treatment of our final life passage features artist Deidre Scherer, the hospice chorus Hallowell, and Ira Byock, M.D., author of DYING WELL. With its gentle, direct, and celebratory approach toward the end of life, HOLDING OUR OWN can be shared with audiences of all ages. 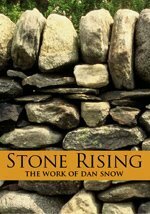 For thirty years, master waller Dan Snow has been creating stunning works of dry stone throughout southern Vermont and New Hampshire. For the first time, his unique work is featured on DVD in the one hour production: STONE RISING.